Celebrating Washington State Marching Day! Each year 1000's of high school students, support staff, and enthusiastic spectators take part in this exciting event. 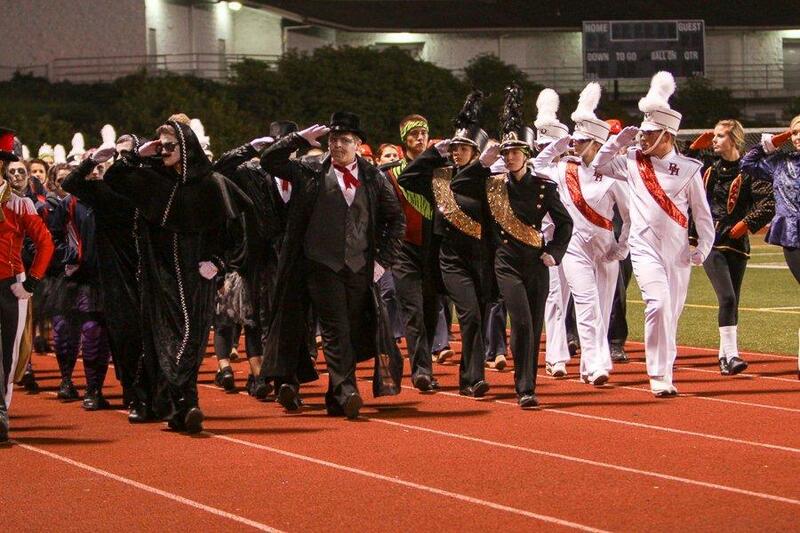 Marching bands from all around the Pacific Northwest converge on Everett Memorial Stadium to compete for awards and recognition. Typically, more than 20 bands participate in 4 divisions based on size, from the smallest Division A bands with as few 10 tenacious members, to the massive Open Division bands hosting more than 100 members creating an unforgettable sound. During the preliminaries competition, all bands compete within their division for the top 3 positions, then, these 12 top bands go head to head in the finals competition to take first, second, and third place overall. The stadium provides sheltered seating for spectators to enjoy this day-long event, and there are plenty of food and souvenir concessions to enjoy. This is our 32nd year of hosting this event and every year seems to be more fun than the last! The Cascade High School Band & Color Guard Boosters would be honored for you to attend this prestigious event, which is one of the largest one-day events in Snohomish County annually. Spectators, learn more about this years show on the Patron Info page. Directors, learn more about this years show on the Directors Info page. If you would like to help support this event please visit our Sponsor Info page to learn about sponsorship and advertising opportunities. Your contributions will help pay for the more than 50 trophies and plaques awarded each year. Thank you for your support and we look forward to seeing you at the show!